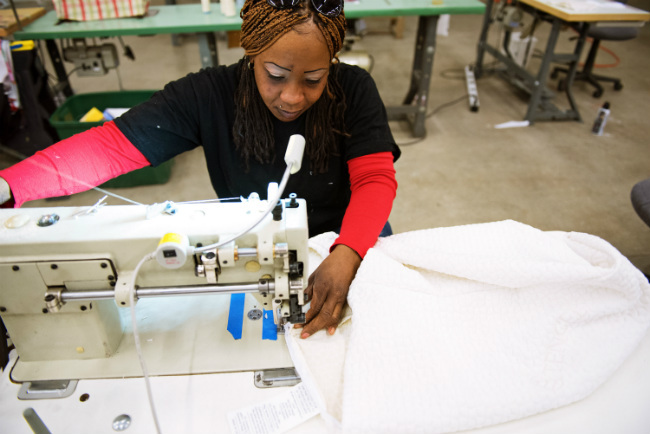 What’s going on in Denver social enterprise manufacturing these days?! Hi there! This is Romy and welcome back to another episode of the Bonfires of Social Enterprise. I want to give a shout-out to our friends in Haiti, France, and Canada. Please reach out to us on the website. We would love to hear what is happening in your communities, and, maybe even tell your story on our show. So, on this episode, we catch back up with Andy Magel in Denver, Colorado and the Mile High Workshop. Many of you may remember that Denver is known as the Mile High city as it is one mile above sea level. There is a vibrant community of social enterprise in Denver, and Andy is leading the way with his amazing maker space and job creation. Stay tuned at the end for a song from a Detroit artist. Thanks, Luke, wooden domes – you just don’t think things like that are possible without steel and like materials. Let’s jump into the update with Andy on his Mile High Workshop in Colorado. Andy :	Glad to be back. I was looking; it's been over a year since we last talked and man a lot has happened. We've moved. We've expanded. We've grown and so yeah happy to kind of pick up, and if you have anything, in particular, you want to know let me know, and I'll just come give you a quick rundown but when we last talked we were in about 8,000 square feet, and we've recently moved to a new building that we're occupying about 12,000 square feet of. A much more industrial space with back doors and these types of things, higher ceilings for vertical storage, and it's a much better space for us, and that's been a good move that's allowed us to kind of take on some new projects and grow with some projects. The last time we talked I think we were doing woodworking and sewing and I can't remember if down with the grid quick started up our packaging and fulfillment side of things yet? Romy:	No, it was more like etching. I think there was a little bit of glass etching starting or just you were dabbling with it I think sort of that. Andy :	Yeah, I was still doing that laser etching and cutting still kind of a nice accessory to a lot of the other stuff that we're doing. But we were doing the fastest growing thing that we started even since we've talked last was packaging and fulfillment, and so we do all the fulfillment and shipping for a company called the Coors. They're a subscription tampon business actually based in San Francisco. A really great company and really doing a lot of growth and so we do all their packing and shipping, and we also do the same type of services with them with some local businesses here, a glass company and a pillow company. And that's been a really good area for us to provide job opportunities and training and we're really excited about what's coming with that, and we got some stuff come down the pipe too. We're actually just about to launch a new partnership Coors Tech which is the ceramics side of kind of the Coors family in Colorado. Obviously, a big family name and Coors Beer is probably pretty well known across the country. But they have a manufacturing side of the business. Technically it's a separate business, but a ceramics and they are placing equipment in our shop that we will be trained to operate and manufacture for them. And then we'll use that training as an opportunity to prepare people for jobs at Coors Tech, and so they'll graduate our training model into kind of above entry level positions at Coors Tech, and that's something that we're very excited about. Romy:	Hey, Andy as you moved into this topic... I think so many entrepreneurs want to know how did you land on starting to move into this packing and fulfillment and how are you getting your customers for this? Is this somewhat a happy accident or was it intentional? We have so many questions that come in about expanding. Would you mind talking to us about that a little bit? Andy :	No, that's good. I think everyone probably has a different approach there. For us, I think happy accident is a really excellent way to describe it. It's all been very organic for us and pretty relationship based. And so in the last two, two and a half years we've worked at well over 100 customers and those have almost entirely all been kind of inbound referral and just kind of natural partnerships that have come along. And we're just getting to the point where we are big enough to where we're going to become intentional about going on finding those relationships. But our growth has come just from "Hey, here is a friend. They're starting this thing. They're looking for a partner. Do you guys want to try it?" And we've just said yes a lot, and it certainly hasn't all worked. I can tell you that. But what was worked has stuck, and it's been a really good fit for us. Romy:	Part of it I just know even from our own company here. It's like part of it is how do you price yourself for expansion? I think I was wondering if you could talk to us a little bit about that. And I am the numero uno guilty party of this. I will price services or products just over across a certain profit margin, but I don't have my eye on expansion, and so I can default to "Oh, I just want to give him a good deal." How are you handling that kind of stuff specific to expansion? Andy :	Now, that's very true. I think there is a level of confidence that comes as you exist and do a good job. Because we've been guilty of the same thing for sure. The first time you take on a job, you're just happy that somebody said yes and that you've been given this opportunity to earn that and to prove yourself. And when you establish a little bit of a track record, and you do a good job then I think your confidence grows, and your willingness to say like, "Okay, now we don't just want to survive and have the opportunity to do something but we want to grow, and we want to create more opportunity." Yeah, I mean pricing is a critical part of that, and it feels like a little bit of a moving target in terms of kind of what that pricing is and how that looks, and it definitely adds and flows what kind of the project because they're also unique. But I think we have established ourselves to the point now where we know we can execute. We know we can do a good job. We're going to be a good partner for somebody and that allows us to have the confidence to price things in a way that will allow us to continue growing and to fuel that growth. Romy:	It's such a good word. Building up your confidence by delivering good services. Andy :	Yeah, because if anyone charges a premium on day one and you can't deliver. That's just not going to be a good recipe. Romy:	Right [inaudible 00:06:47] false. Romy:	It sounds like you're still offering services to perhaps a startup entrepreneur but all the way up to now to a potential client like Coors. That's extraordinary and so great. Are you still going to offer some of those services to that startup entrepreneur? Andy :	Yeah, we really like having a nice mix. Because everyone has different priorities and things that they need. Our core mission as job training program and so people come in, and they may or may not have skills in the area that they are going to be working in. So we need kind of a wide range of products so that somebody on day one can contribute to a project. And then as they grow the projects that they're working on can kind of grow and skills required as well. And so we love having kind of that mix because it gives us flexibility and that we're a little bit more diversified in that way that as a small entrepreneur kind of and they start something if it doesn't work, it goes away. They're not our only customer. We've got somebody like Coors or someone onboard who we can lean on for stability of the program, so we really like having a little bit of both. It creates a nice mix and a good thing on our production side of things. Romy:	There is always the intrigue of the energy of the entrepreneurs too that brings you to this level. Andy :	Yeah, and kind of the cross collaboration that can happen there. There is a lot of fun kind of side projects that have come out of people's interactions and just support that comes in. Our customers will meet each other in the shop and who knows kind of what can come from that relationship in off itself which is always really fun. Romy:	Are you noticing a certain type of employees excelling in your program or is it all over the board? What I'm really asking is, is there a certain demographic or something that people with various employment or something that's working in Colorado that you're noticing really excels in this environment? Andy :	Make the shift to packing and shipping and working with general warehouse type work and that might be a really good fit. And so really, we've got enough flexibility in the type of work that we're doing to where we can typically find something that's going to be a good fit for somebody. Romy:	Yeah, that's tremendous. I love this idea too of the continuum of skill building onto the employer like you described at Coors Tech. That's pretty cool. I think there's always this element of providing hope to those who feel like they haven't had a path even if they might not know how that's going to walk out. Just knowing that there's potential paths into more development I think just sometimes knowing that that's available changes a person's mindset and heart. Andy :	Oh yeah. It's so cool to see somebody come into the sew for example, never touched a sewing machine, then realize that they're actually pretty good at it and it's a viable career path. We have several cut and sew shops in the Denver area and there's not a lot of training that's happening to prepare potential [inaudible 00:11:12] shops and stuff. Its been able to establish some good relationships there and help support people as they transition into those types of jobs and when somebody learns that they're good at something that's a viable career path I mean there is a lot of hope that comes with that for sure. Romy:	And in Colorado, I know you're in the Denver area, is skilled trade a gap like it is in some of the other states? In Michigan where we do most of our work it's a huge gap. But is it similar in Denver? Andy :	Yeah, absolutely. I think it's really a nationwide thing. 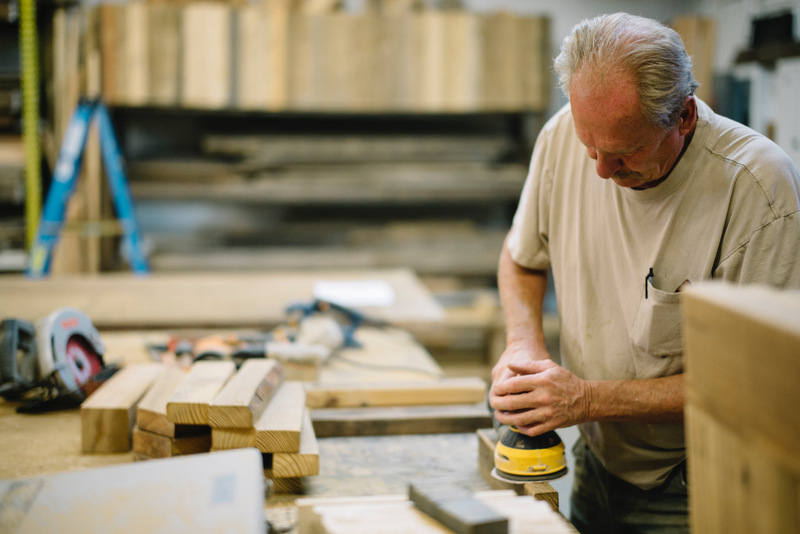 You're just seeing this shortage of people who know how to do skilled work with their hands and so if somebody can come in and if we have the opportunity to teach them how to do that, there's no shortage of opportunities. Denver specifically, construction is huge right now. The city is just blowing up and so if you can do quality woodworking you can kind of pick what version of it you want to do. There's just so much opportunity in all that right now. So there is a gap and we're really to be able to kind of play a role in providing some of the training for that. Romy:	Oh my gosh, that's huge. It's huge. It's neat where you just said woodworking, would that include of all kinds of things up to I guess carpentry? Andy :	Yeah. I mean when it comes down to it it's all about those basic skills of knowing how to use a tape measure and operate a saw safely and put things together and when you learn those basic skills you can take those anywhere. 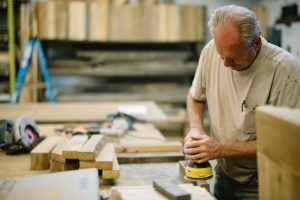 So we make a wide variety of things in the wood shop that require a diverse skills to be developed and so that when somebody's graduating the goal is that they can kind of look at what's most interesting to them in that field and have at least a base understanding of how to pursue that. Romy:	Andy, how are you handling the management of so many people? Well let's back up. How many I guess average folks do you have on the floor at the time or employees do you have average on a day? Andy :	Yeah. I mean if everybody shows up we're pushing somewhere around 20 people right now. And that's not necessarily just folks in the training program. That's kind of the whole thing. So we've got a team of social workers and shop directors and these kinds of things, so there's probably 10 to 12 people on the program side of things right now. But as an organization we've been growing for sure. Romy:	How do you ... are you following a model on how to build up sort of oversight and management? I think this is an interesting intersection for social entrepreneurs when you do have ... whether you're for profit or nonprofit, where you have some programmatic elements of it where like you said, you might have some social workers or the life skills going at the same time as real work that needs to happen to turn your business model around. Romy:	I think there's a lot of people trying to figure out, and most of us are doing it by making mistakes actually of how do you find the right types of oversight when you've got that dual nature going on. How are you learning about that in hiring oversight? Andy :	Some of that is definitely coming through just experience and trial and error, but I think to the degree, the most that we can we're trying to really lean on other people's experience and so we've got people kind of in the Denver community who are lending their insights and expertise maybe from the business world. So kind of mentoring from the business side of things. But then we've also had this really incredible opportunity, I don't remember if this had happened when we last talked, but we're a member of the social innovation fund portfolio through REDF which is an organization based in San Francisco, and that has really opened up a lot of doors for us to access knowledge from other organizations who've been around a lot longer than we have, so we've been able to learn from them as well. So we're kind of trying to kick the brains collectively of the for profit and the social enterprise and kind of nonprofit sector and learn from the folks who've gone ahead of us, and that's been extremely helpful and it's really helped us cheat the growth curve a little bit by kind of pulling some stuff in that's maybe a little bit beyond our years which has been very, very valuable. Romy:	Yeah, it's so good. So are you still finding now as people are coming to you by referral or word of mouth, what do you finding right now is the attraction point? Is it more the job training program or the type of work you're doing? Is it possible to take a pulse on what's happening at this minute? Andy :	Yeah. It's hard to say. It's hard to pull it all apart, I think because the truth is we are very much all of those and we don't exist, those things don't exist in vacuums and so always curious to hear from our customers. I think a lot of them are driven by the simple fact that they need a job done and they need to find somebody to help them do it and our mission can sometimes be that carry on prop that kind of helps them say like, "I'm going to follow up with these guys and then reach out to them." But it is typically I think just kind of a market need that we exist to fill. If somebody has a product and it needs to be sewn then they need somebody to do that, and we're happy to be the ones that do that and if they can tell a little bit more interesting story as a business because of our relationship then we're really happy for that too. Romy:	That's powerful. I feel like that's a truth that I keep landing on is you still got to fill a need, do it really well. There's always that mission story around it that I think just elevates the attraction of your business but you still got to get it done. On that note, so I would loosely place you guys of course in the manufacturing segment of it. One of the most challenging things I think when you're somewhere in the chain of manufacturing is how do you decide what your minimum type job? I know some folks we talked to are saying, "Well, I need to get about this amount of dollars in per job." Andy :	Right. You're totally right and we live in this tension. I think it's similar to kind of like the mission business tension is just that it's so fun and we so love working with startups and small runs just because it's always so interesting, but it's so hard to make that work from a financial perspective because it requires so much overhead to start something. And so it's definitely a balance. So we will do, like if we're bringing in a new customer and they're kind of in the startup phase, we're going to definitely do a sample run. And so that's going to help us kind of make sure that we can get the quality down, make sure that they're happy with it. It will allow us to understand what that pricing looks like and kind of what the full scope of the project is. And from there we can kind of pitch pricing and we used to not have any minimums, and I think that kind of goes back to the confidence thing in yourself and we would basically take any job that came our way because we needed it. But we've gotten to the point where those little jobs, they are hard. We really like them, but they are definitely harder to manage and so we have kind of a under 50 quantity rate and an over 50. So it's still, very low bar in terms of what you'll see in a lot of manufacturing, but we have built in a little bit of a minimum there just because it just requires a lot more to run that stuff. Andy:	... just requires a lot more to run that stuff. Romy:	Andy, while we're right there at that point looking at like low minimums and that, how do you set the boundary for yourself and your team that you don't try to solve it, so let's say it's not a fit. Let's say it's a run of 10 items and it really is not cost effective for the entrepreneur, you guys, to handle it. How do you set the boundary where you don't go off and try to solve it and get them somewhere else? I mean, so many of us social entrepreneurs will be like, "Okay, I can't do it but let me see if I can connect you with so-and-so." We're such a giving community. How do you set those boundaries and not sort of stay in that end of the pool when you shouldn't? Andy:	Yeah, I know. That's a great question. Sometimes it's even just like, shoot, this is a cool thing but I don't see any viable path for this product, you know, like with us or anyone. And so, I mean, we try to be just as honest as possible. It's surprisingly hard to say no. I mean, we've been learning how to say no better, in a way that's helpful and constructive for us and for the customer. But you know the truth is, if you have a product that's not super viable and you spend you know then you're gonna do pretty persistent because you probably believe in your products and so, it can be really hard as a manufacturer, "like man this person really wants us to make their thing, like what kind of honor, we should do it." But then just being able to have some tools in place to be like hey this is what it takes us and if we can't hit this then we just can't do it. Ya know, even though it seems cool and we really like it, we like the person, we really want to do it but it's our goal as a social enterprises to be financially viable. And so, we've had to learn kind of how to do that and how to manage that and what that looks like. It's certainly an evolving process. Romy:	Yeah, but you guys have such a different feel right now from a year ago. I, the word I keep feeling is strength. You guys have so strengthened from a year ago. And it just takes a minute of trial and error and working with costs [crosstalk 00:22:20] to have that kind of strength. I love that word of confidence because I can feel so much more muscle and foundation right now about your organization. Andy:	Yeah, I think that's really true, we are definitely just further along and that comes with experience. And we've been so fortunate to have the support of a lot of people in our local community here. Then just kind of a national and social enterprise community, it's really been transformative for us as an organization to learn from so many people about how to do what we're doing. And just the support we've received has been tremendous and I think it does show our programming to get away from the production side, I think the way that we support people now is dramatically different than it was a year ago and completely for the better. I mean I'm so proud of the program we have and the way that we support our employees. And it's just developed a lot too but it's just taken time and trial and error and experience on that front as well. Andy:	Yeah, our heart has always been good you know we've always desired to serve people well. But I think in the last year what we've been able to develop is an actual systematic way of doing that. So we have kind of a sweet of assessments and evaluations and tools that we're using. We've always wanted to maintain the personal touch cause obviously we're working with people and everyone is very unique in what they need. But coming around with some tools that allow social worker to engage with somebody and be able to kind of establish a baseline and understand what someone's needs might be and how we can best support those needs. Kind of objectifying some of that information to a degree has allowed us to be so much more effective and to communicate much better with our staff and the direct kind of like where are those real pain points that we can make a difference in their lives. So I it felt a little unnatural, honestly, to try and turn these very subjective things, people, into data. But doing so has allowed us to do what we do so much better and we deliver it, obviously, in a very personal way. So I think just the intention now that I leave behind what I'm doing, has just grown so much and the impact has been really significant. Romy:	Wow, that's exciting. I think sometimes ... I hear what you're saying I resist that too about saying oh gosh, ya know, this business or this group of people falls into this sort of data output. The truth that I've learned recently is that if I collect enough data on a project or a group, I can plug that into a larger, broader ecosystem and I can access learning and that's really specific to them and access advice for them because other people have studied other parts of it. There might be some formulas I can plug in that data of others that have studied and gone before and really spend a lot of time and effort trying to understand how different things relate and, yeah, it's not a perfect science because we're created so uniquely but boy fast track it a little bit I think can help ... yeah . Andy:	You don't want to put people in a box, but the alternative is like shooting from the hip and starting from square one every time and that's not effective either. Been growing there with lots of support and it's just been really exciting to watch that develop and see it really have a significant impact in people's lives, which is what it's all about. Romy:	Yeah ... and what's ... shifting gears here as you kind of ... you're such a visionary here as you think forward and you let yourselves dream. What are some things that like get you really excited? That you see maybe you're about to implement or you dream about as a possibility so that was that joy point like "that would be really cool if that happened"? Andy:	I think there's a couple things, like for us our model has been very behind the scenes contrast. We are just now starting to launch our own product line, which is really exciting, so we've developed some core competencies, some good skills in certain areas and so we're launching some stuff out of the sewing, the woodworking and even some laser engraving. Been using those to create some stuff. So we're now selling some really cool cutting boards and coaster sets made out of wood. We actually developed a line of tables; dining room, coffee and end tables. Then some bags, been doing some up-cycle bags in the sew shop but we're also doing some qua dura type stuff now and more kind of new materials. So we're really excited about what kind of opportunities that could present for us and new relationships that we would be able to explore. Having a little more control over some of our activities and products. That's really exciting, then you know going really big, my goal kind of with this whole thing from the beginning has been what does it look like to figure this out, like how can we figure this model out and then what does it look like to take somewhere else. I think that Detroit, honestly, has just a very natural place with a model that plays so well, because like you said, "manufacturing is so big in a place like Detroit." If we could take the model and plug in some new local partners, could you just do the same thing over again? And so, a big part of what we're trying to do is figure out how to do what we do well, do it efficiently, write it all down and then explore "How can we go somewhere else?". I think we don't necessarily want to have this like huge, sprawling, foot print in Denver, but we would must rather have a smaller, more manageable operation here and then look at partnerships kind of around the country. Andy:	For sure, that's it. It's so transferrable. I mean the same principles apply, doesn't matter if you're in Denver or Detroit or LA or wherever. Same general concept. So I think it really is a scalable and transferrable model. That would be kind of a long term, big picture vision of what we can do with this thing. Romy:	Yeah, that's so exciting. So, I don't want to keep you too much longer but ... cause I want to keep this an ongoing, almost audio documentary of what you guys are doing. Is there anything that you'd like to just kind of share with the listeners right now? We thank our fans for the loyalty, we're in more than a hundred countries now listening to us and we know that you are a very popular guest and there was a lot of inspirational commentary we got about what you were doing. So, no pressure, but is there anything you want to share with anybody? Andy:	Yeah, you know I'm a listener as well and I sure appreciate listening to what everyone else is up to. I really enjoy what you're doing here, it's a lot of fun. I haven't listened to the first one in a long time so I cannot remember if I had any advice on that one, so forgive me if I give the exact same advice. But, I think, something that's been so foundational to us, as we've grown, has been just asking, not asking the question of what can we do and what can we kind of muster up within ourselves, but who can we collaborate with, who can make us stronger, what partnerships can we explore. I think our model is built on this idea of the community and what can we do together. As a social enterprise, I think it's hard if you attempt to exist in a vacuum or on an island and to the degree possible, I think it's just always wise to ask who can I partner with, who can I work with to where we both can make each other stronger. If you look at our pending kind of deal we're doing with Kerstech, it's just this very mutual thing. We're really unbalanced in terms of size, but we're both bringing something to the table that the other party really wants. We're both going to be able to do our work better because of it. And so, that's just kind of my standard advice, look for the partnership opportunity then wait to collaborate cause you'll both be better for it. Romy:	I think, I'm so glad you brought that up, and I don't think you said that last time. So I'm so glad you did. I think sometimes there's a fear. I hear people when we suggest, those guys might be doing that there's ... sometimes I feel like people read this, that there's a fear that they're going to have to change themselves to fit the other potential partner or ... along this line I do want to encourage listeners to, you don't have to adapt and change what you're doing to work with another partner. It's a mutual learning and you do have the right to say 'hey gosh, that fits for me and that doesn't'. Just because you start to collaborate with someone doesn't mean you have to change to meet them. You might want to because you might learn it but sometimes it's exactly what you're doing and just doing it from a different angle or different lens. But most of the time if I could encourage most of the listeners, most of the time collaboration feeds ideas under the premise that two heads are better than one. You get more thought power there. Andy:	Oh yeah, just the creativity that comes out of that and the impact it can have on both of you. I don't think you should be so locked in to what you are doing to say we're not willing to do this differently. There's always an opportunity to get better and to think outside the box and innovate. That's gonna come with outside input and a new set of eyes and just kicking ideas around. Romy:	That's so good. Well, how do they reach you? Let's give them your social media and website again. Andy:	Oh yeah, we're on Facebook, Instagram, Twitter, all that, Mile High Workshop. Then, Milehighworkshop.org is the website and if anyone wants to reach out our email is just hello@milehighworkshop.org. Follow us, stay in touch, reach out. We're always willing to support good stuff. And if anyone wants to collaborate, call us. Romy:	So good, thank you Andy! Wow-wee, so much good stuff in that conversation with Andy – Thank you, Andy! You are really paving the way for so many! If any of you travel to Denver, be sure to check out their shop. Time for our closing song…This artist has been shared with us from our friends at Assemble Sound in Detroit. Please meet Jay Norm and his song titled ‘If Hearts Had Ears.' Until next time, keep those bonfires burning!